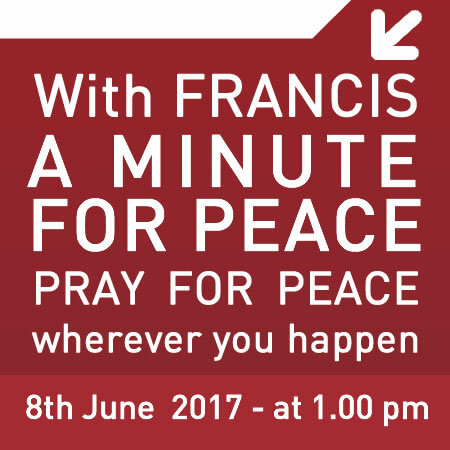 Thursday 8th June, at 1.00 p.m. 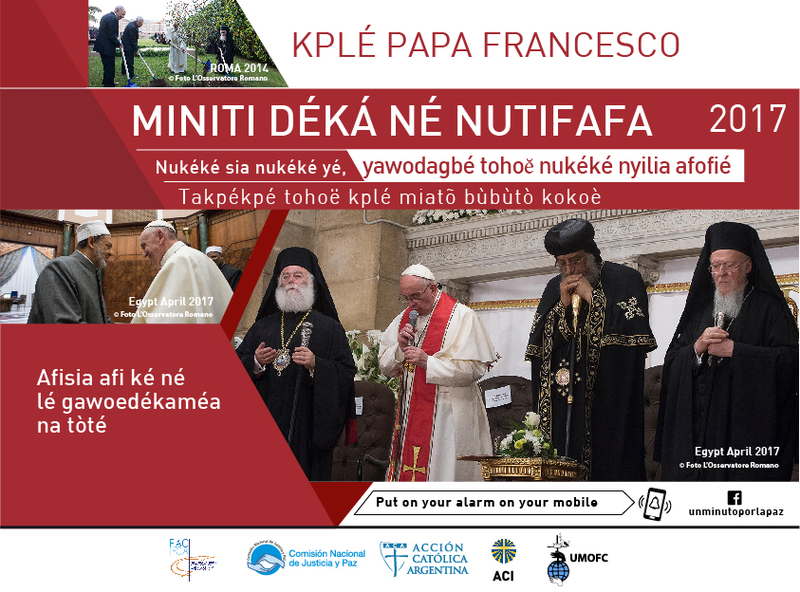 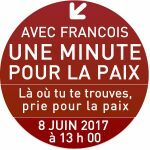 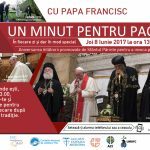 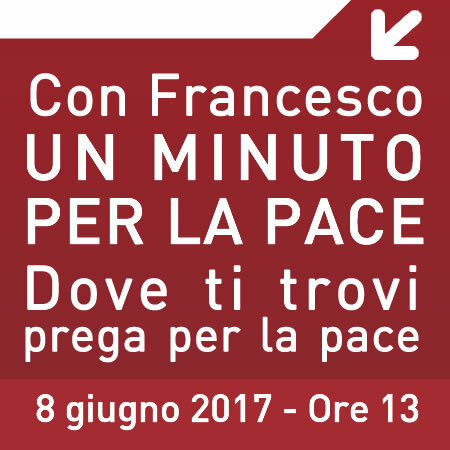 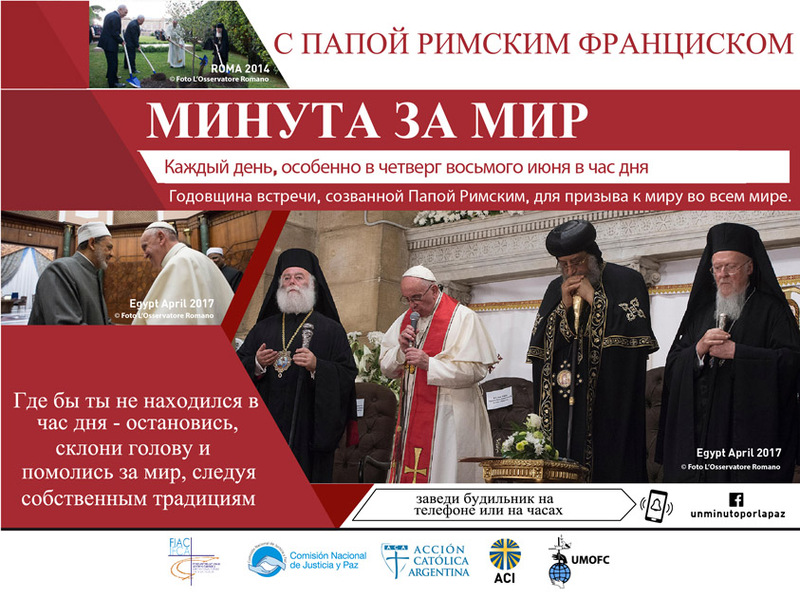 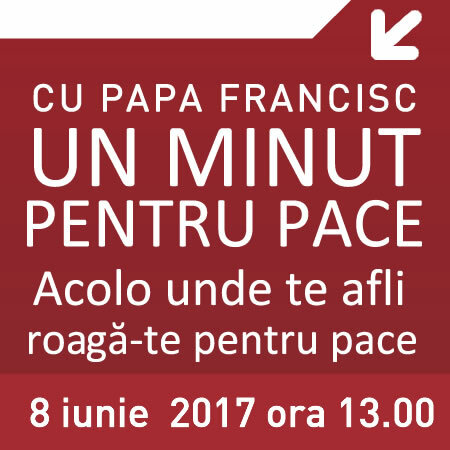 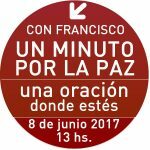 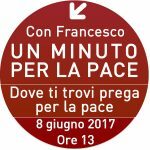 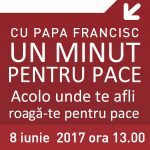 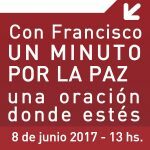 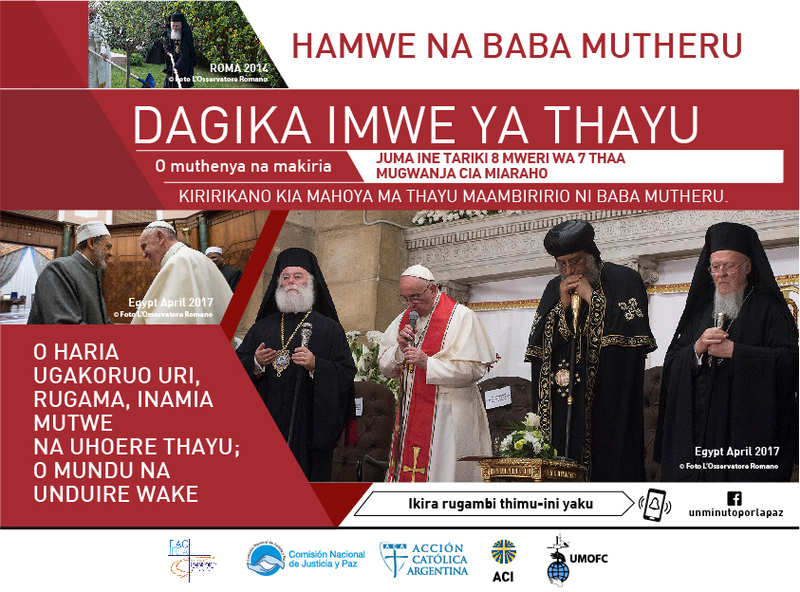 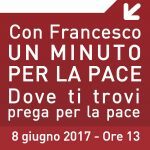 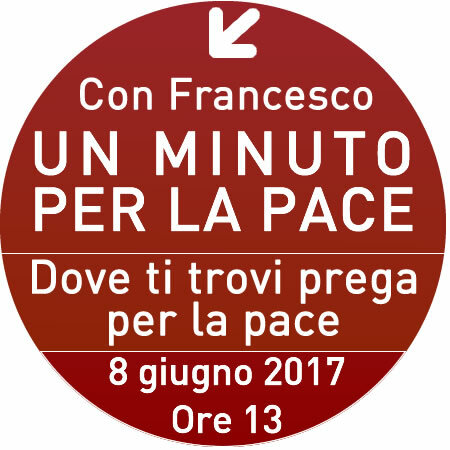 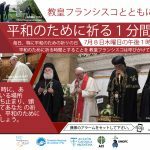 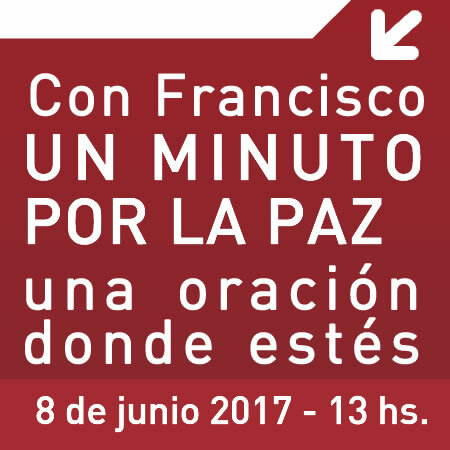 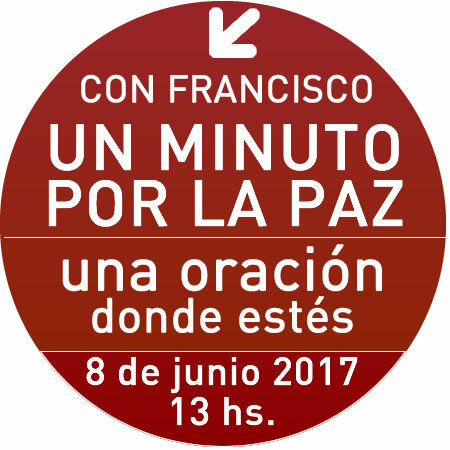 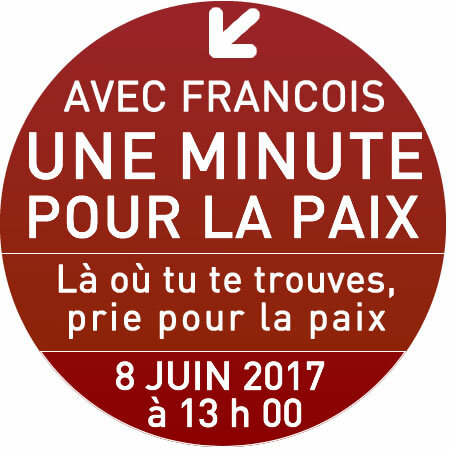 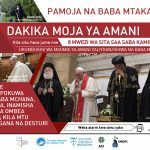 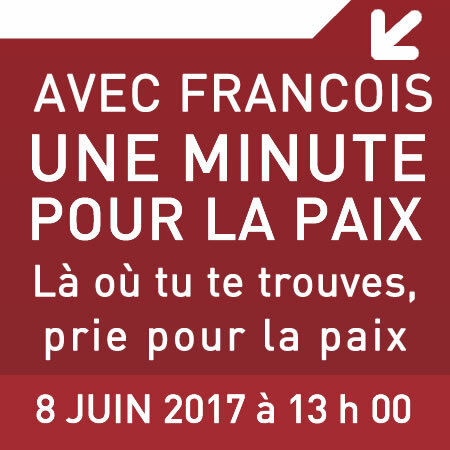 Tomorrow at 1:00 PM “A Minute for Peace” initiative is renewed in several countries. It’s a short moment of prayer on the recurrence of the meeting in the Vatican between me, the late Israeli President Peres, and the Palestinian President Abbas. 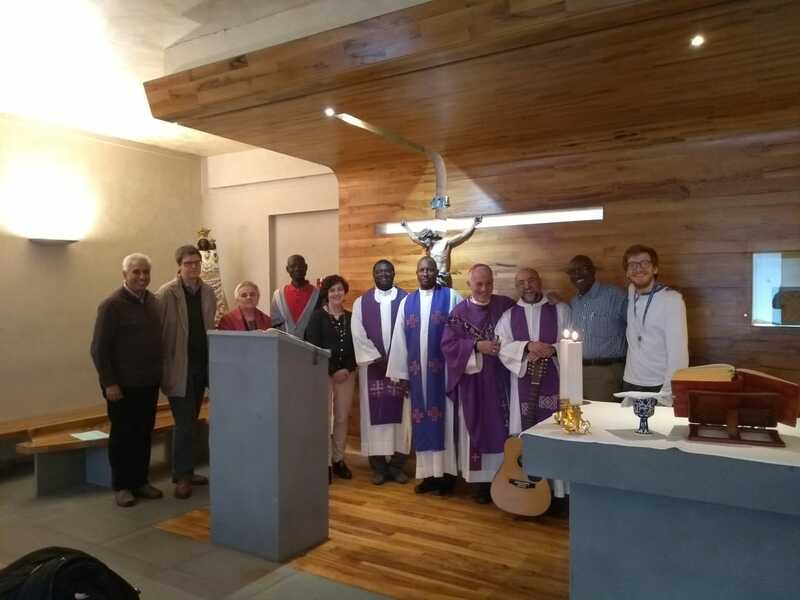 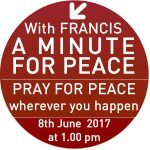 In our days, there is a great need to pray – Christians, Jews, and Muslims – for peace. 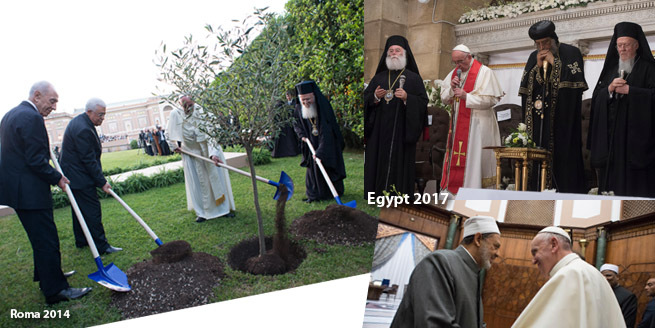 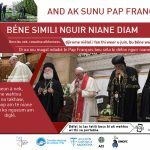 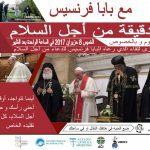 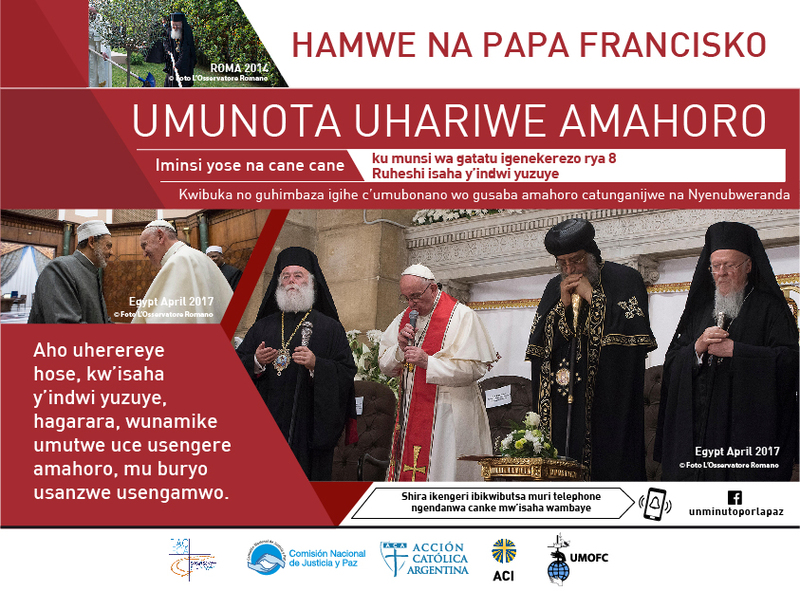 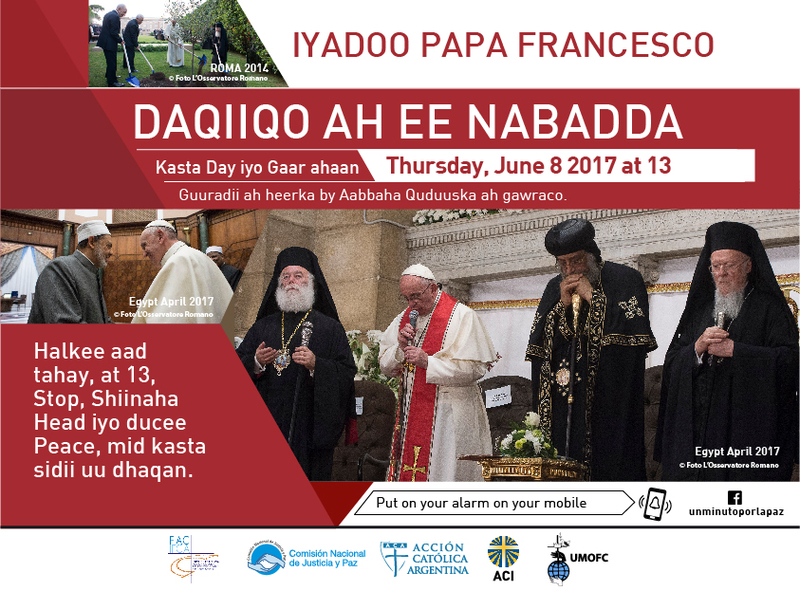 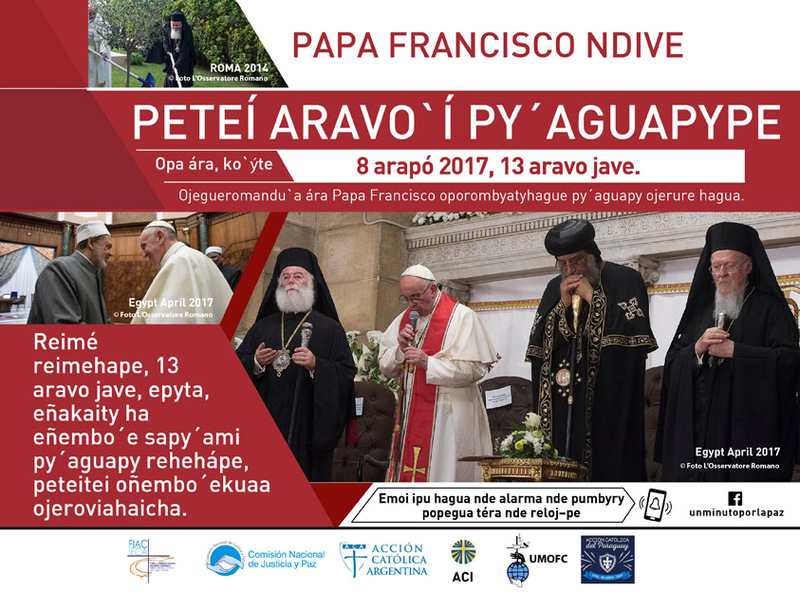 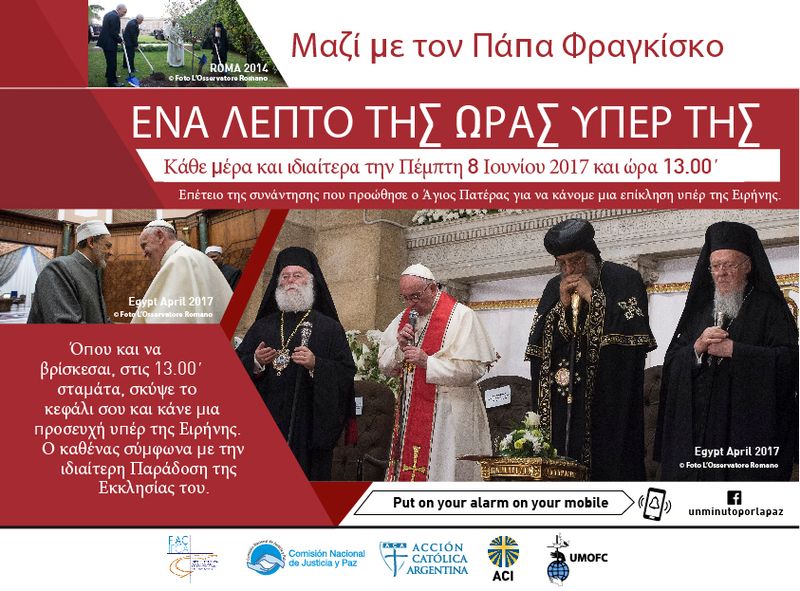 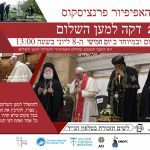 It will be held on June 8, 2017 at 1.00 PM (13h) on the occasion of the second anniversary of the historical meeting between Pope Francis and the presidents of Israel and Palestine, held in the Vatican. 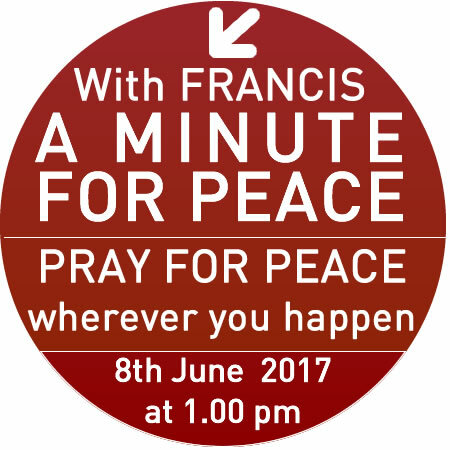 Help us spreading this initiative and counting around the world a growing number of MINUTES for PEACE .